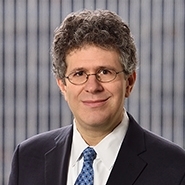 Michael Ladas, the relator in this qui tam action, was a former Director of Quality at Power Solutions, Inc., which contracted in 2005 to provide certain equipment to the U.S. government. Under that contract, any equipment produced following changes to the manufacturing materials or process that had the potential to cause deviations from the contract specifications were required to be subjected to product qualification tests and to be submitted to the government for approval. Power Solutions subcontracted with Innovative Mold Solutions (IMS) to manufacture certain components of that equipment. In November 2007, IMS made significant changes to its manufacturing process and neglected to inform the government. According to the complaint, the changes had a negative effect on the functioning of the equipment and affected compliance with the contract specifications. By 2007, Power Solutions engineers became aware that a change in IMS’s process had occurred that could substantially impact the quality and functioning of the equipment and eventually met with IMS to discuss the changes in 2009. Although full disclosure of the issue to the government was required by the contract, Power Solutions employees instead sent the government a “white paper” that the Court concluded understated and misrepresented the nature of the changes in IMS’s process and falsely stated that Power Solutions had only recently become aware of the changes in IMS’s process. Ladas filed a qui tam action in July 2010 alleging violations of the False Claims Act, 31 U.S.C. § 3729 et seq (FCA), by Power Solutions and IMS. The government elected not to intervene and the defendants moved to dismiss after Ladas filed an amended complaint. The U.S. District Court for the District of Connecticut (Covello, J.) granted the defendants’ motion to dismiss on the grounds that (1) as to Power Solutions, the release barred Ladas’s qui tam suit, and (2) as to IMS, the amended complaint failed to allege fraud with the requisite particularity. With respect to the enforceability of the release in the separation agreement, the Second Circuit agreed with the framework the district court applied – a framework adopted by several other circuits in considering similar cases: a release of the right to bring a qui tam action is unenforceable as against public policy where the government would have no other way of knowing about the FCA violation. See, e.g., U.S. ex rel. Radcliffe v. Purdue Pharma L.P., 600 F.3d 319, 332 (4th Cir. 2010); United States ex rel. Longhi v. Lithium Power Technologies, Inc., 575 F.3d 458, 474 (5th Cir. 2009); United States ex rel. Hall v. Teledyne Wah Chang Albany, 104 F.3d 230, 233 (9th Cir. 1997). A qui tam action allows a private individual to bring a lawsuit on behalf of the U.S. government for fraud. Successful plaintiffs stand to earn a certain percentage of the damages awarded. The purpose of the FCA qui tam provisions is to incentivize private individuals with access to relevant information to uncover and prosecute FCA violations. In light of these goals, the Second Circuit held that the right to bring a qui tam suit can only be released if the government was aware of the fraud before the suit was filed. Where the government would not have learned about the fraud absent the relator’s suit, public policy factors weigh in favor of permitting the action to go forward notwithstanding a contractual release agreement. This rule is in keeping with the nature of qui tam actions; these actions assert a claim that belongs to the government, and the government has a right to intervene in a qui tam action after it is filed by the relator. Here, the district court found that the allegations of fraud were “sufficiently disclosed” in the white paper that was sent to the government in 2009 and therefore concluded that Ladas’s suit was barred by his release. But the Second Circuit held that the record did not support that conclusion and that the misleading statements in the white paper did not put the government on notice of the allegations of fraud contained in Ladas’s suit. It therefore adopted the legal framework the district court applied, but declined to endorse its factual conclusion. Nonetheless, the Second Circuit affirmed the dismissal of the suit on the ground that Ladas had failed to allege fraud with the requisite particularity required by Federal Rule of Civil Procedure 9(b). The court also held that the district court did not abuse its discretion when it refused to grant Ladas leave to file a further amended complaint. This decision leaves companies in something of a quandary when negotiating releases as part of separation agreements with employees who are involved in government contracting work. The purpose of such agreements is often to provide the employer with certainty about whether the employee will bring an action against the employer in the future. Under the Exelis decision, it appears that the employer will not be able to have this level of certainty with respect to qui tam actions, absent disclosure to the government of the facts giving rise to the qui tam action. The Exelis decision may also increase slightly the already significant benefits to companies in having robust compliance programs that will detect possible fraud and allow for a prompt disclosure of the relevant facts to the government. For employees, the opinion should not be treated as a license to bring qui tam actions after executing a release. In many cases, the facts giving rise to such an action will have been disclosed to the government through one means or another—perhaps by the company, or perhaps by another prospective relator. 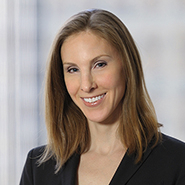 Releases will continue to be enforced in qui tam cases in many instances under the legal rule recognized by Exelis. The district court first determined that the release was broad enough to include the qui tam action. The Second Circuit assumed that to be the case, but never reached the issue.